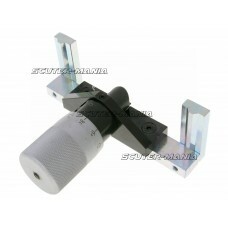 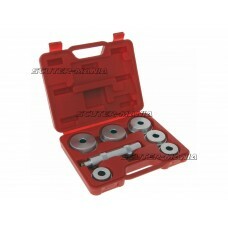 Buzzetti specially made alternator / flywheel locking tool for help during assembly or dismantling. 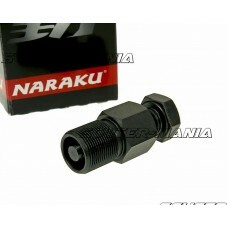 ..
Naraku M18x1 puller for alternators on 2-stroke Minarelli-based and Minarelli AM engines. 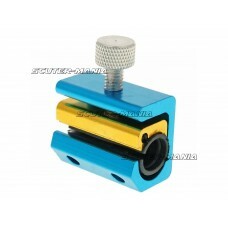 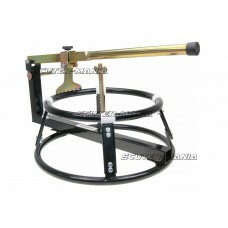 Screws ont..
Universal tyre removal device for scooter rims from 12-18 inches thanks to the adjustable push-off l.. 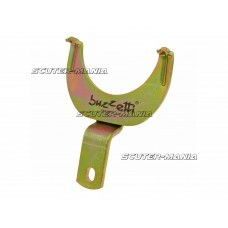 These aluminium jaws allow you to clamp shafts and axles in a vice without causing any damage to the.. 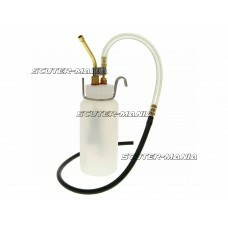 Brake bleeder bottle kit from Buzzetti including return valve. 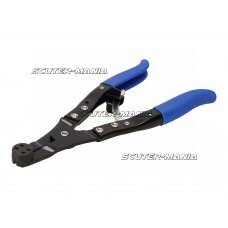 Operation: Connect the hose to the b..
Patented brake piston pliers / removal tool from Buzzetti. 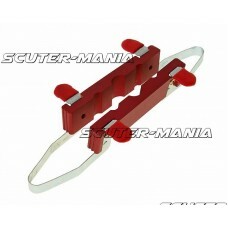 These pliers are used to pull the brake ..
Adjustable brake piston removal tool from Buzzetti. 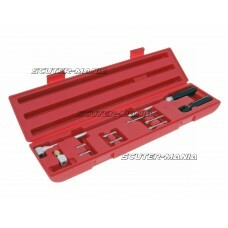 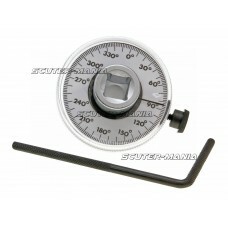 This professional holding tool is used to pull t..
Tool set for proper insertion of ball bearings and sleeves with an outer diameter of 40 to 65mm. 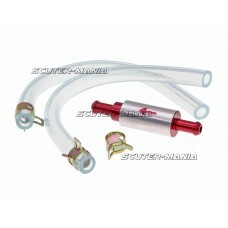 Thi..
Buzzetti Cable oiler tool suitable for throttle, brake and choke cables on scooters, motorcycles or ..
4-piece set from Buzzetti for adjusting Keihin FCR carburettors. 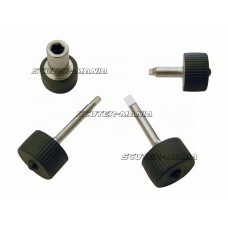 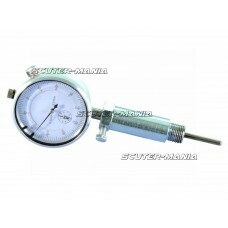 Set comprises of two flat head sc..